Home → Blog → Name Our Home – But Not HouseyMcHouseface Please! Name Our Home – But Not HouseyMcHouseface Please! When the UK’s Natural Environment Research Council (NERC) launched its #NameOurShip campaign for its new polar research vessel, we’re betting the name “BoatyMcBoatface” never occurred to them. But someone suggested it and the resulting Twitter storm caught the attention of media worldwide. Although BoatyMcBoatface was the runaway favourite as the people’s choice, the NERC in the end opted for the more ship-like name “the RSS Sir David Attenborough” for the vessel. BoatyMcBoatface will live on however as the name for the ship’s onboard yellow submersible and as a symbol of the power of popular opinion. Here at Fraemohs we thought it would be awesome to run our own “Name Our Home” competition. We want to give the New Zealand public the chance to get creative by naming the newest design in our range of timber kitset homes. We’ve given this compact 2-bedroom chalet-style design the temporary name of “Kiwi”, but we’re looking for something much more inspirational..! 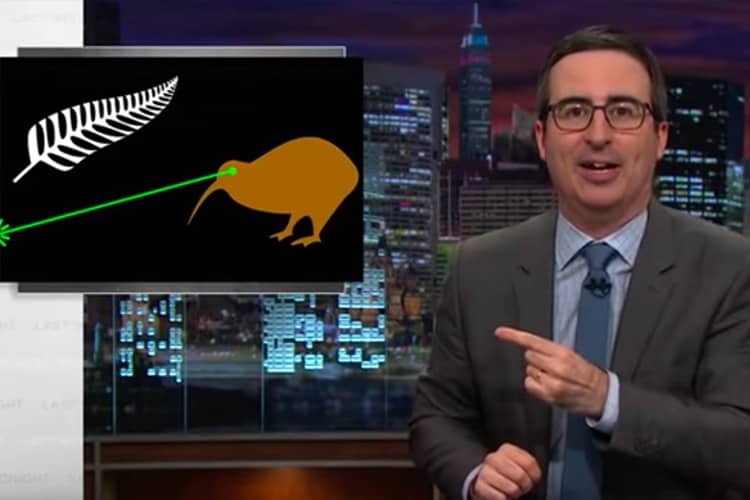 We reckon Kiwis are a zany, creative lot – just look at the laser Kiwi flag design for example – so we’re pretty confident we’re going to give BoatyMcBoatface a run for its money! It’s not every day you get the chance to have a building (or in this case lots of buildings!) named after you. Take New York’s famous Chrysler Building (once the tallest building in the world for a short time in the 1930s) – car manufacturer Walter P Chrysler financed the $20 million build of this Art Deco skyscraper himself. That was a massive investment to have his family’s name preserved in history and New York’s skyline, but you can make your name part of Kiwi history just by coming up with a great new moniker for the latest Fraemohs home design. If the prospect of fame doesn’t spin your wheels, you might hit top gear when you learn about the great prizes up for grabs in the Fraemohs “Name Our Home” competition – including awesome prizes from Resene and a holiday in sunny Vanuatu (flying Air Vanuatu and staying at the fabulous Mangoes Resort). You can check out the Kiwi kitset design here, along with our other house plans, on our website. Or if you really want to get the inside edge on the competition, why not visit our Christchurch Show Homes in person? Who knows, you could be rewarded with fame and/or a fantastic holiday!